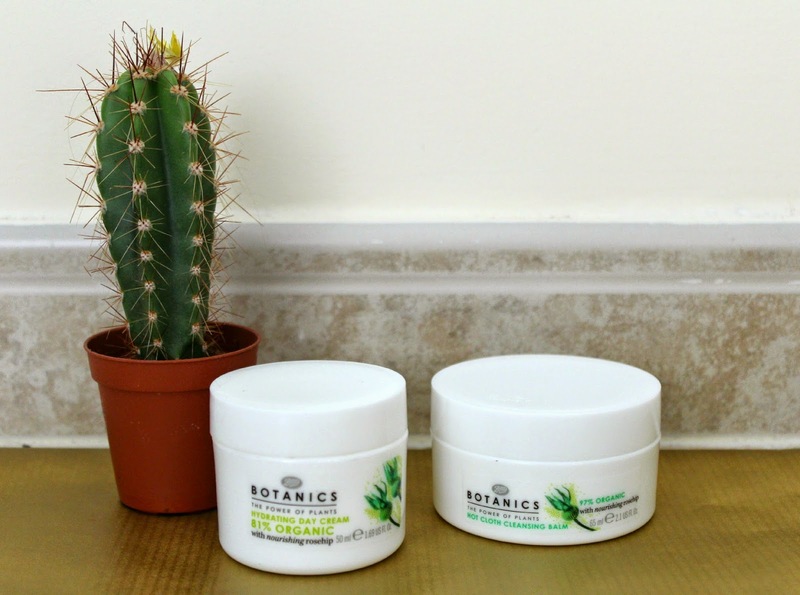 Botanics by Boots have been on my radar for a while, and I remember there being particular hype around the Hot Cloth Cleansing Balm, which was often sold out in Boots in the UK. A good thing about Dubai is that you don't find that beauty blogger cult products sell out as much (finding them is a different story!). Good Things: This is a thick, slightly grainy balm which glides over the skin and does a great job of removing make-up and making my skin feel super clean. Bad Things: Not really a bad thing but as it's so thick it can take a while to get this off, you definitely need to do a thorough scrub with a flannel. This would also maybe be an issue if you have particularly oily skin? Good things: Firstly, I love that the jar was filled right to the top and not only three quarters like some moisturisers. This smells fairly strongly of roses, which I like but may put some people off. It makes my skin feel and look fresh and my make-up sits nicely on top. Bad Things: This isn't necessarily bad, just a bit different to most other moisturisers I've tried, but the formula has a slightly odd consistency. It kind of feels like it doesn't immediately absorb into the skin and has a more watery texture. However, I've decided this may be due to the fact that it has a lot of organic ingredients and perhaps less oil? Anyway, although this is unusual I don't feel like it affects how well it moisturises my face so is not a problem for me. Verdict: I really like both these products and have noticed my skin looks fresher and brighter, meaning I've felt the need to wear less foundation. I like the ritual of applying them as it feels luxurious and like a bit of a treat! An excellent price as well, considering the cost of their high-end counterparts. Overall, I would definitely purchase again and would give them both an 8/10. Have you tried anything from Boots Botanics? Nope, never tried these! But it's good to know they're good products!